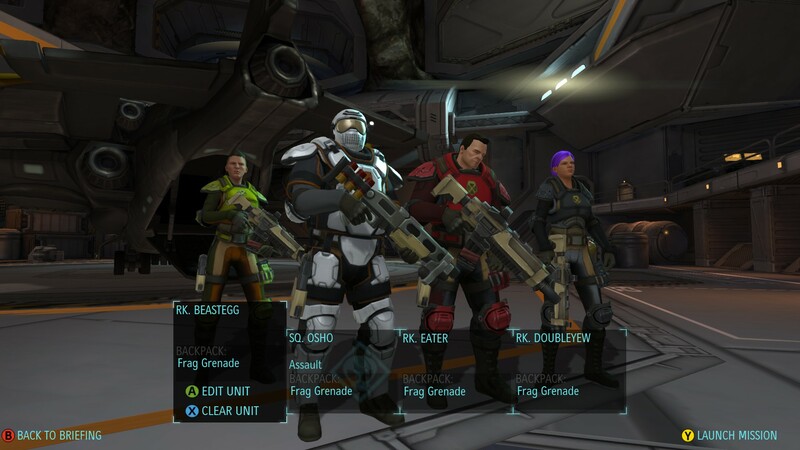 Who wants a walk-on role in my XCOM: Enemy Unknown squad? March, 2015. We are not alone in the universe. Humanity is under attack from an alien army equipped with technology beyond anything we have seen. The armed forces of the Earth are powerless. All save one – the mysterious international organisation known as XCOM, sponsored by a Council of sixteen nations. It’s up to XCOM’s soldiers, outnumbered, outgunned, but brave and (one hopes) well led, to stop the aliens in the cities and in the fields. 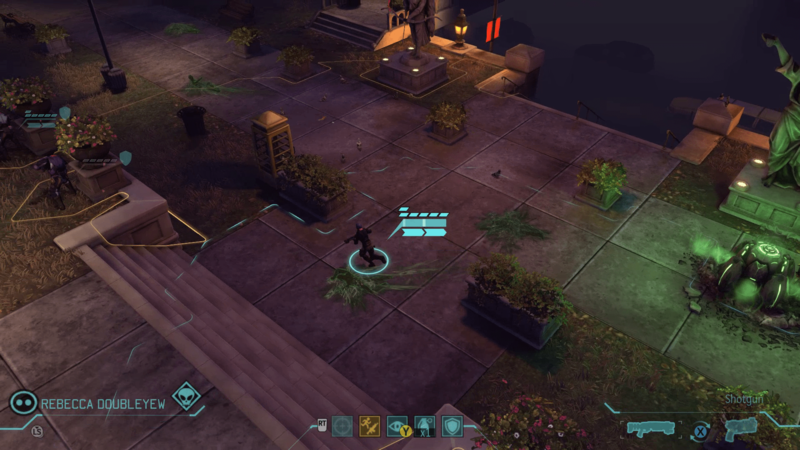 It’s up to XCOM’s scientists to unravel the alien technology the soldiers bring home, and up to XCOM’s engineers to adapt it into something the troops can use. And it’s up to me, the player, to give them all direction. Will I succeed, or will humanity be destined to end up as just another course on the alien buffet menu? 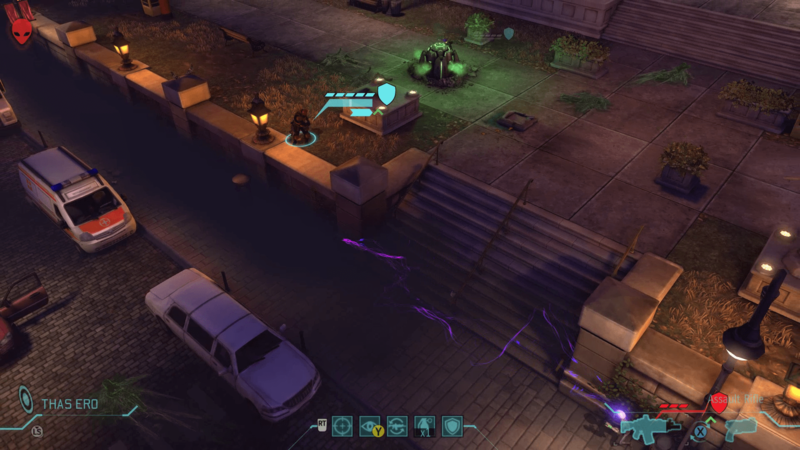 XCOM: Enemy Unknown is a newly released strategy game for PC, Playstation 3, and Xbox 360, developed by Firaxis Games of Civilization fame and based on a classic 1994 game. 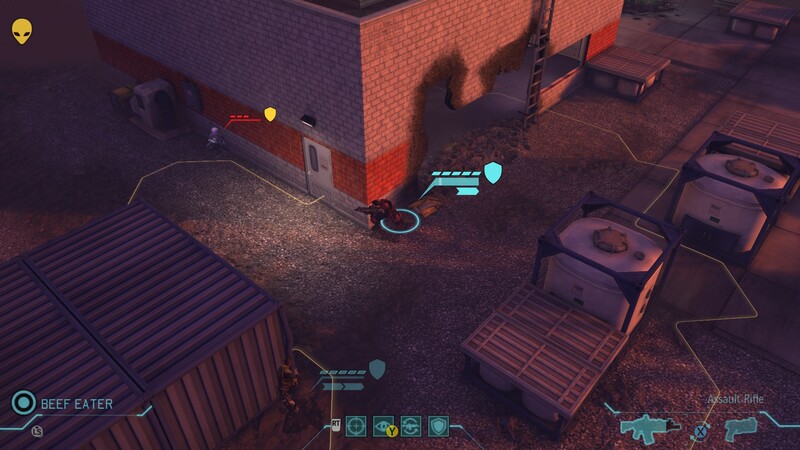 Like its predecessor, XCOM comprises two gameplay modes, turn-based tactical battles between XCOM soldiers and aliens, and a base-building mode in which the player oversees XCOM’s finances, R&D, and construction. I am playing the PC version, but controlling the game almost exclusively with an Xbox 360 gamepad rather than a keyboard/mouse. The game offers four difficulty levels: Easy, Normal, Classic, and Impossible. An optional game mode, “Ironman”, limits the player to a single save game slot to prevent save/reload abuse. While developer interviews have made it clear that Classic Ironman is the “definitive” XCOM experience, player experiences (as recounted in many an internet forum thread) have also made it clear that Classic is much, much more difficult than Normal. As the game puts it, Classic is “an extreme challenge, for experienced XCOM players only”. I choose Classic Ironman anyway. I might not have any hands-on experience apart from the game’s demo, but I’ve seen bucketloads of preview Let’s Play videos (and a fair few post-launch gameplay videos), and read oodles of tactics discussions. That, I figure, has to at least put me on par with Lieutenant Gorman, the Aliens character who sheepishly admitted he had made 38 drops… simulated. Still, everything should be all right. Right? The very first thing I see is the game prompting me to choose the location of my base. Each continent offers a different bonus; I opt for Europe so I can get a discount on workshops (which allow for cheaper production) and laboratories (faster research). Since I turned the tutorial off, the game drops me into a randomly generated mission immediately after I make my choice. The battlefield is a long, narrow city street, packed with cars but not much in the way of good cover. Note that cars are not good cover; they only offer partial cover and they’re prone to blowing up when hit. Still, that cuts both ways, right? I begin my cautious advance up the street. Oh dear. My inexperienced soldiers were incapable of hitting what they were aiming at, and while normally grenades would obviate that problem, the dearth of proper cover and the linear nature of the map meant death for anyone trying to get into grenade range. It’s the exact same battlefield and the exact same squad, but this time I’ve learned my lesson. Instead of advancing – no matter how cautiously – I decide to let the aliens come to me. Let them be mowed down in open ground. And it works. When the dust settles, all the aliens are dead. So is one of my men, but that leaves three still breathing, of whom two earn promotions to Squaddie! 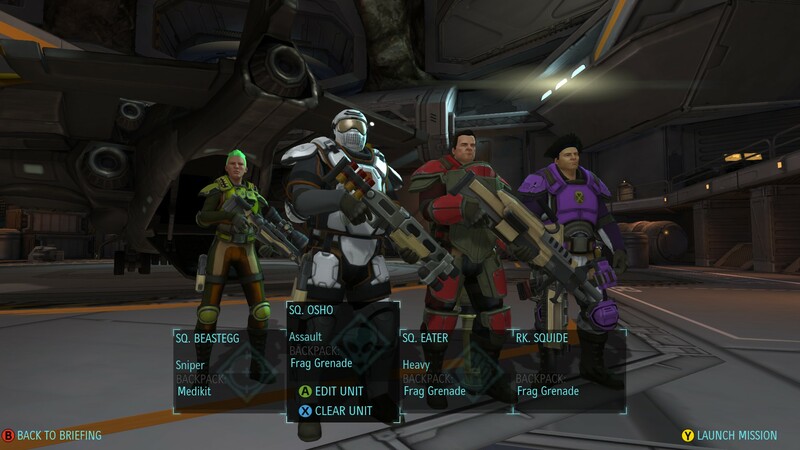 XCOM assigns soldiers’ classes randomly after their initial level up, and as such, we now have a new Assault trooper, Josho, and a new Support trooper, Farnsworth. Josho’s specialty is close-range combat with a shotgun, while Farnsworth has now become a jack-of-all-trades with a talent for buffing (e.g. with defence-enhancing smoke grenades) and healing the squad. Farnsworth and the third survivor, an unpromoted rookie name of Thasero, will need time in the infirmary to recover from their wounds, but all in all, I’m not too displeased. All thanks to the magic of staying on the defensive! This is a tactic I bear in mind for the rest of my playthrough. Note the little talking head in the corner, which belongs to Dr Shen, our head engineer. He has a point, and as such, I begin excavating more space on the top floor. However, for now I have another priority. See that Satellite Uplink in the top left? 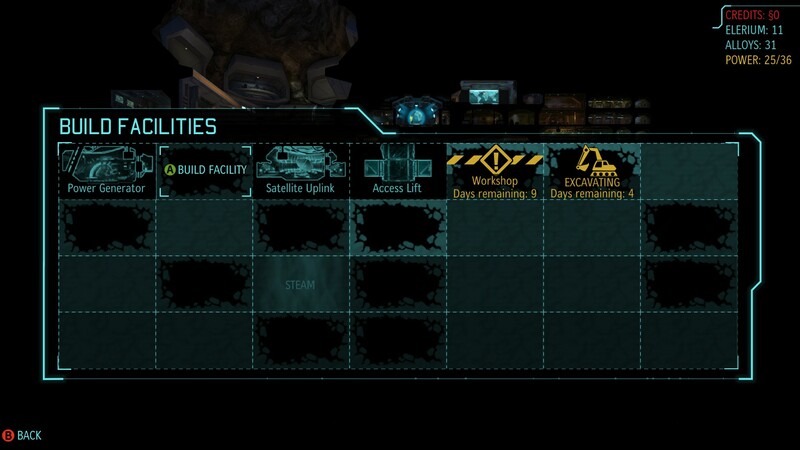 That allow XCOM to maintain up to 2 satellites, which are an absolutely crucial part of the game. 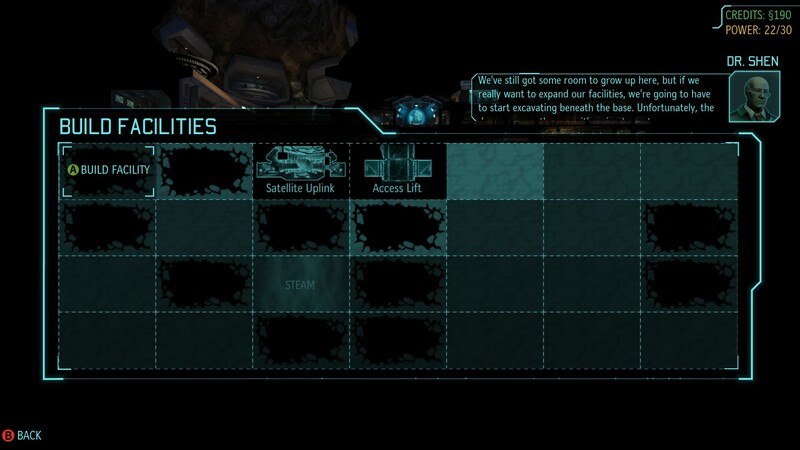 First, XCOM needs satellites in order to detect (and intercept) UFOs. Second, satellites bring in cash – every nation protected by an XCOM satellite will step up its funding in gratitude. 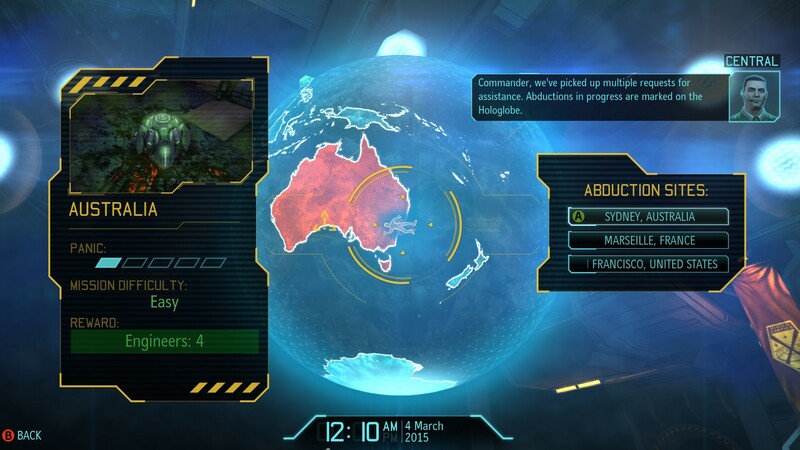 Third, the aliens’ attacks will increase panic around the globe; when a country’s panic maxes out, it will withdraw from XCOM at the end of the game month, and losing 8 out of the Council’s 16 member countries leads to a game over. Satellites are one of the very few ways to reduce panic. In short, satellites matter! I start with one satellite and since my existing uplink can support a second, I begin construction of another satellite right away. Meanwhile, following our victory in Germany, we’re left with a fair bit of salvage – alien corpses, but also fragments of their weaponry. I order Dr Vahlen, our head scientist, to get cracking on the weapon fragments. Lead bullets are all well and good against the Sectoid aliens (think the classic little grey guys) we just encountered, but they won’t even dent some of the later foes in the game. The sooner I have upgraded gear for my troops, the more comfortable I’ll be. Abduction missions are essentially the game’s timer. You can only respond to one of three, and panic will increase across the entire continents represented by the other two – remember, panic is what prompts countries to drop out of the XCOM project, and if you lose too many (8) countries, you lose the game. 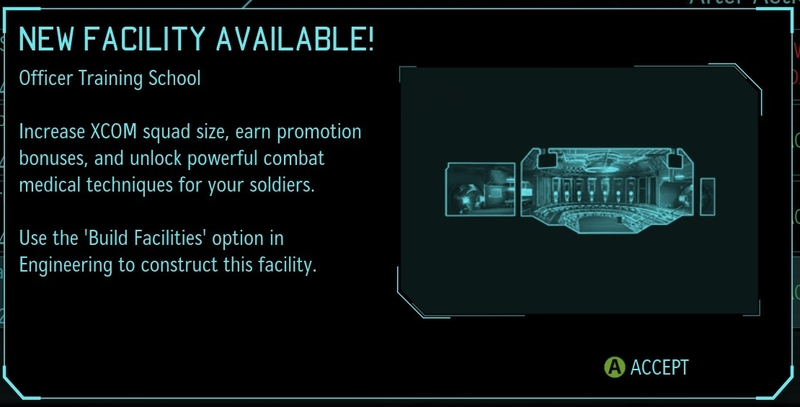 In addition, each mission offers a different reward. In this case, I choose the mission in Australia – my reward for successfully completing the mission will be 4 engineers, whom I desperately need. Josho, armed with a shotgun, will be the nucleus of my force. Three rookies (frogbeastegg, Rebecca W, and Beefeater) round it out. Success! 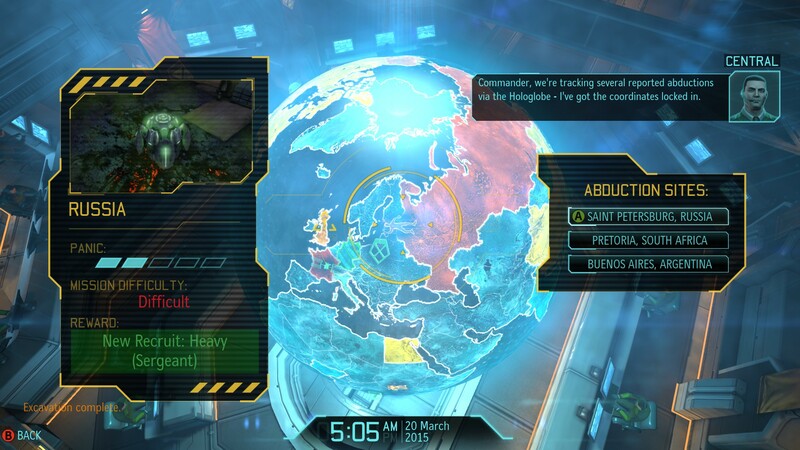 Not one XCOM operative killed, a very good omen. Beefeater, frogbeastegg, and Rebecca earn promotions, respectively, to Heavy, Sniper, and Assault. Snipers are pretty self-explanatory – they’re the game’s long-range specialists, who unfortunately can’t move and fire their primary weapon in the same turn (unless you choose a certain ability upon levelling up). The Heavy, meanwhile, carries a machine gun and a rocket launcher. The rocket takes one turn to set up, can only be used once per battle, destroys loot… and is utterly devastating, capable of wiping out an entire pack of early-game aliens with that one shot. The machine gun isn’t quite so spectacular in comparison, but depending on how I level Beefeater, he’ll be able to either fire his machine gun twice per round, or else use it to debuff enemies (making them easier targets for the rest of the squad, impairing their accuracy, etc). Back at base, I start construction of a new power generator to facilitate future expansion, then set the clock running. Saddle up, ladies and gentlemen. We have a crash site to secure. For this mission, Josho, frogbeastegg, and Beefeater comprise the core of my squad; they take along a raw rookie – LeSquide. Here I discover the beauty of the tactical withdrawal. At one point, I glimpse a pack of Sectoids near my flank at the same time that two more Sectoids appear right in front of my squad! LeSquide takes care of the closest Sectoids with a grenade, and I pull everyone back to defend against the flanking force – just in time, as they scuttle forward into positions that would have let them overrun me if I hadn’t moved. Eventually, my squad makes it to the UFO. It’s not much to look at – a round, compact “flying saucer” with a singed, but still mostly intact, exterior. What’s inside the UFO is a new type of alien, the Outsider – a being of “almost pure energy”, per Dr Vahlen. I have a more mundane concern. 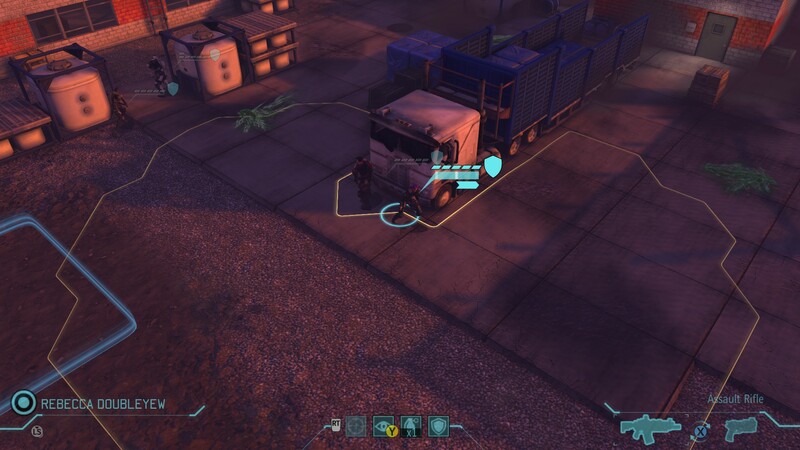 XCOM’s starting weapons can inflict anywhere from 2 to 4 points of damage, depending on type. 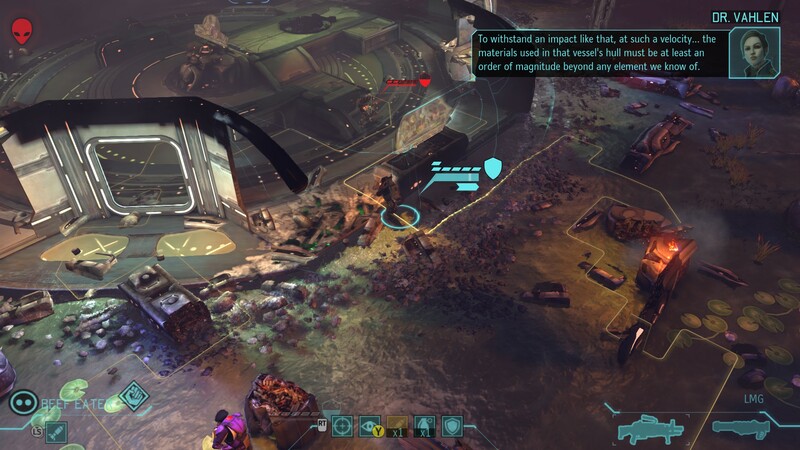 Against Sectoids, who only have 3 health, this is fine – my soldiers can usually one-shot them with anything stronger than a pistol. The Outsider has 5 health, meaning it’s immune to one-hit kills. … and kills him in one shot. The rest of the squad exacts its revenge next turn, and with that, the mission is over. Josho has been promoted to Corporal, which grants him a new ability (I choose a defensive bonus that scales with the number of aliens in sight – I could have given him a bonus to critical hits instead), and LeSquide has now become a sniper. Poor Beefeater has become the first casualty from my list. RIP, soldier. A few days later, Dr Vahlen and her team finish researching the alien weapon fragments; I order them to research alien materials and subsequently improved Carapace Armour, so I can prevent other soldiers from sharing Beefeater’s fate. However, I have so few scientists that the armour will take a LONG time (one month) to research, so it will be a while before my soldiers can benefit. Until then, they’ll have to make do. Remember how panic increases across an entire continent when you don’t respond to an abduction mission? Thanks to that mechanic, Europe – and in particular, France – are sliding towards bedlam. Not wishing to lose France, I opt for the Russian mission, notwithstanding that “difficult” rating. It doesn’t hurt that Russia has offered me a new heavy weapons specialist, whom I need to replace the departed Beefeater. Remember Farnsworth and Thasero, who were wounded in our very first mission? Now they’re out of the infirmary, and it’s time to send them back into battle. Rebecca W will take point with her shotgun, and LeSquide will cover them with his sniper rifle. This map looks like a park or plaza of some kind, with the available cover comprising statues and neatly groomed plants. Note its three key features – the foot bridge (top of the map, just behind the statue); the road (top right) beneath the foot bridge; and the elevated ground (bottom left) where my squad started. I push forward a scout, and discover the foot bridge is filled with Sectoids – fine. I move the squad forward to engage, with my soldiers exchanging fire as they go. Thasero moves up to flank. Steps close to the edge of the raised area, overlooking the road. Uncovers a second pack of Sectoids. The second pack of Sectoids dashes for cover. And in the process, it awakens a third pack of Sectoids. If the previous missions were when I discovered the value of the tactical withdrawal and of staying on the defensive, this mission is the exam on those lessons. Thasero runs for his life, back out of sight of the road. Everyone else falls back to the high ground where I started the mission. That purple lightning indicates two Sectoids are using their special ability, “Mind Merge”. The recipient Sectoid receives a bonus, but will also die if the originating Sectoid is killed. And in this case, Thasero is within grenade range of the originating Sectoid. He kills two for the price of one. That proves to be the decisive moment. The Sectoids’ aggression seems broken. My squad creeps towards the foot bridge, with Farnsworth and Rebecca methodically killing Sectoids as they go. It gets hairy at the end, when my troops have to brave the scanty cover of the bridge in order to hunt down the last Sectoid, but they eventually finish the battle without losses. 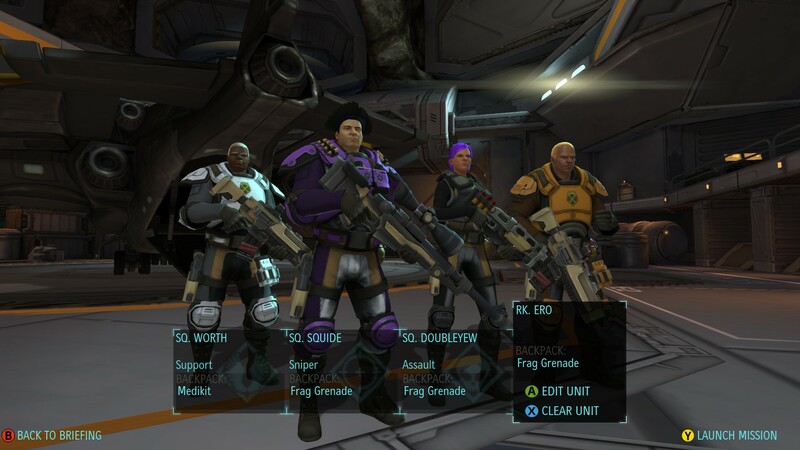 Thasero earns his first promotion, becoming a newly minted Support trooper, and as promised, Russia sends XCOM a Heavy – specifically, a Sergeant (higher-level than any of my other troops!) name of Talorc. I get to choose two skills for Talorc, so I run with “Holo Targeting” (once Talorc fires at a target, all allies gain a +10% chance to hit) and “Suppression Fire” (reduces a target’s accuracy, grants Talorc a chance to shoot if the target moves, and stacks with Holo Targeting). This will be crucial. Currently I can only send 4 soldiers at a time into battle. Once the OTS is complete, I’ll be able to unlock (for a cost!) 5- and eventually 6-man squads. Next up, Part 2, in which XCOM embarks on new missions, fields new equipment, and meets new aliens! KIA in this instalment: Squaddie Beefeater (Heavy), and one un-customised rookie. Awesome ! Thanks for including me. Typical of me, first thing I do is take a break. But it is only fair – I applied for a LAB job, and they put me on military detail. What do you mean ‘sample collection’ ? ‘Can’t leave that to the grunts’ ? Ok, that makes sense. But I can work on the lab bench every once in a while, yes ? Nice start! I’m sure with Classic/Ironman you’ll be able to cycle through all of the applicants for names pretty quickly. 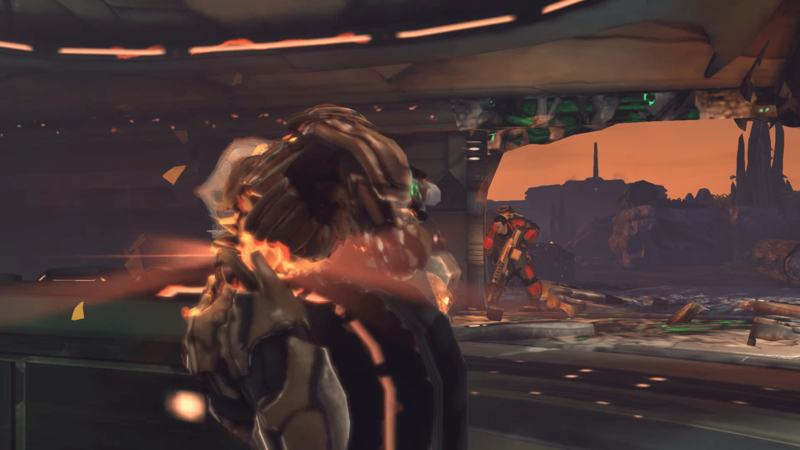 Next Next post: Let’s Play XCOM: Enemy Unknown! Part 2: Winning battles, whither the war?